but it can really be anything else. 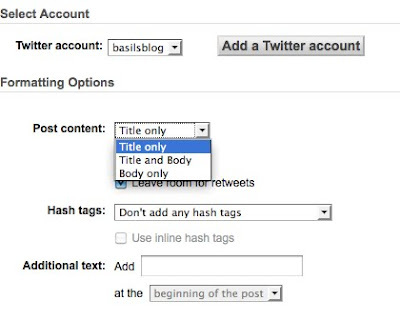 WordPress blogs will often use Twitter Tools, Make Me Social, or any of a number of other WordPress plugins. Which is all well and good if you're using WordPress. But even then, there could be issues. Some of these plugins use server and/or database resources, sometimes to the point of causing problems. You know what would be great? 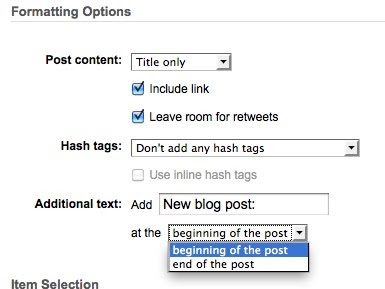 A process to automatically tweet your new posts that work on any blogging platform. I've got one. But there's a catch: it uses Feedburner. Now, if you use Feedburner, you're almost there. If not, you might want to look at using it for your blog's feeds. 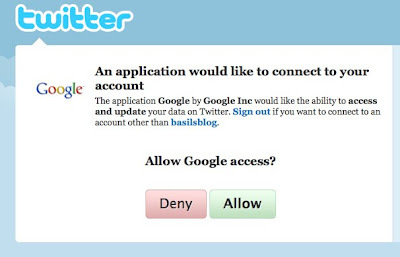 It requires a Google account, such as Gmail, to use. The rest of this post assumes you are using the Feedburner service. First, go ahead an log on to Twitter. You'll need this later, and it'll speed things up if you are already logged on there. Determine if you want to post just the title, just the initial content from the body, or the title followed by content from the body. I chose "Title only"
You'll probably want to include a link. And you'll probably want to leave room for a retweet. If you want a prefix (I use "New blog post:" while others use something else, such as "Blogged:" -- use whatever you want. There are other options, but I don't use them. Use them if you like. If you don't understand them, leave the default settings for now.